Beknopte info: Smart plug type E, which can be controlled via Z-wave, also measures the power consumption. 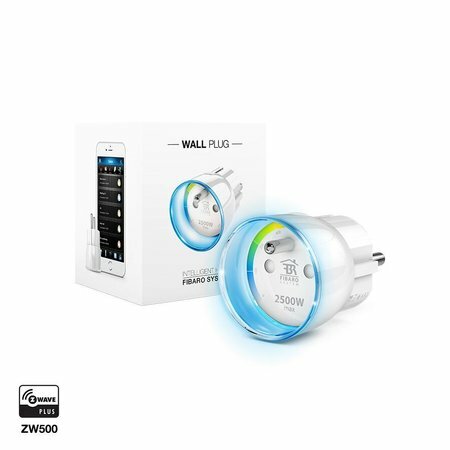 Switch each device on and off with a capacity of up to 2.5kw via your smartphone, PC or via automatic setting.With earth for Belgium. Fibaro Wall plug is an intelligent, compact and beautiful smart plug. 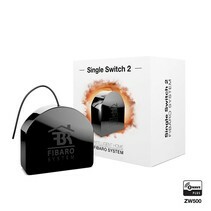 Due to the high functionality, this connector can be used wherever you want to switch or control electronic devices wirelessly. 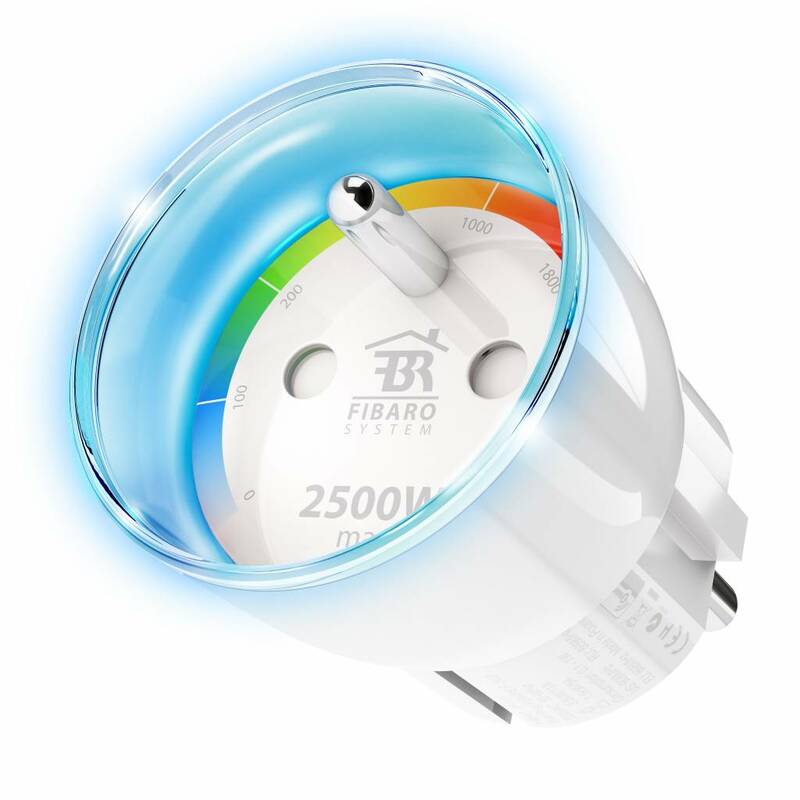 You can easily follow the energy consumption on your tablet or smartphone, receive notifications when power is used or in case of failure, and make advanced circuits. 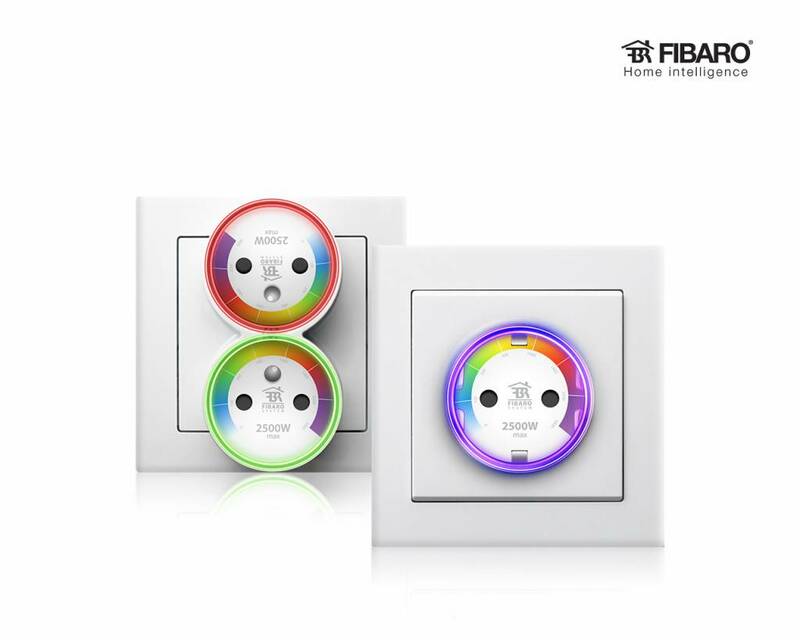 The ring on the front of the (smart) plug shows the consumption of the connected device with different colors. 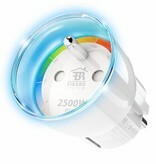 if the consumption changes, the color changes. And when the maximum load (2.5 kW) is exceeded, the light starts flashing. 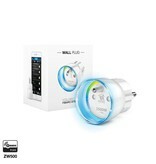 The Z-wave plug module can also be used as a night light for the children's room or night hall. 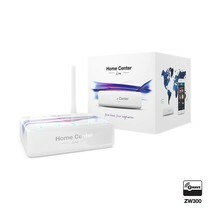 You can also test the strength of your Z-wave signal via a setting in the home center interface. The color of the LED ring indicates the strength of the z-wave signal at a certain location. 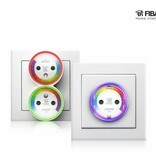 Via a small push button, which you can press on the top of the plug, you can also operate the intermediate plug locally. 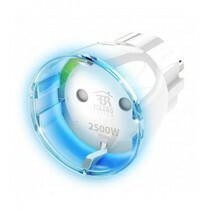 The intermediate plug consumes 0.5 watt (that is approximately 1 euro per year). Type E for the Belgian and French market. Super handige stekker die inzicht geeft in het verbruik van de aangesloten apparatuur. Wij gebruiken het voor o.a. 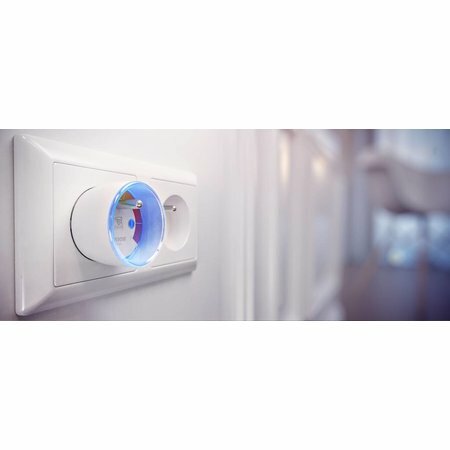 de aansluiting van de TV, versterker, accesspoint, mediaplayer, etc. 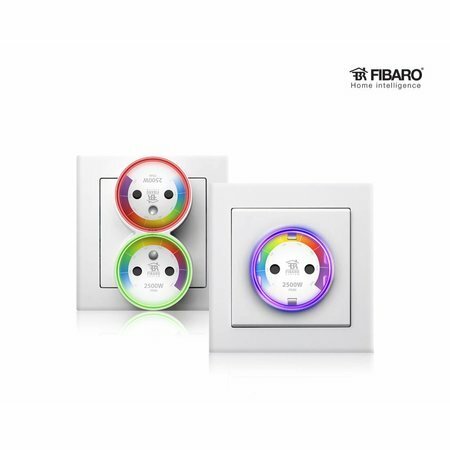 die allemaal op 1 stekkerblok zitten. 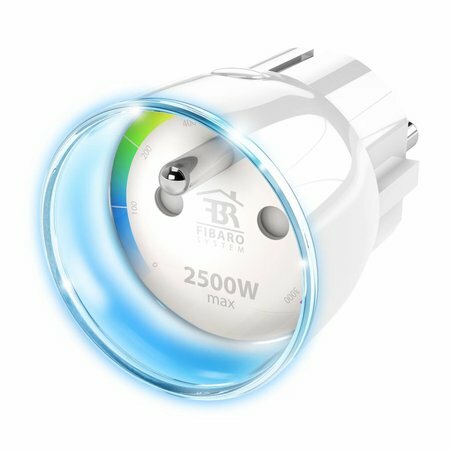 Dit verbruikt stiekem toch nog zo'n 50 Watt in stand-by, wat we bij afwezigheid gemakkelijk uit kunnen zetten.